In addition to my university degree from Kings College, London, I also studied for 2 years to obtain a postgraduate qualification in advanced restorative dentistry which was awarded by the Faculty of General Dental Practitioners. After qualifying, I developed my skills further in cosmetic dentistry learning from a well respected expert in this field in the UK. The London Deanery have also approved me to mentor newly qualified dentists. I like the fact that our whole practice ethic is based on putting the patient first. We pride ourselves on our patient care. We work as a team and we do everything we can to take the "ouch" out of your visit, and help you enjoy a lifetime of good oral health - and your best possible smile. My working day starts by being greeted with a cheerful "good morning" by one of the reception team, followed in quick order by a friendly "hello" from those members of the team who have arrived before me. DHC offers a very wide range of treatment options to help our patients to keep good oral health, and our patients come from all ages and backgrounds. I find it satisfying to be able to spend quality time looking after the different needs of our patients. I enjoy going to study clubs with local dentists as well as attending courses at the Eastman Postgraduate Dental Hospital. Recent topics have included managing the younger patient, introduction to restoration of dental implants, diagnosis in endodontics (root canal treatment) and treatment options for the compromised tooth. 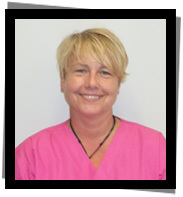 Having worked at DHC since 2001, I have a regular patient base, and have got to know my patients well. I enjoy being able to provide the continuity of care, and it's nice to see successful long-term treatment outcomes. I enjoy mud larking which means hunting for old items and artefacts along the banks of the River Thames although alongside having fun it does mean I sometimes get very muddy! My favourite thing about working at DHC is treating a variety of patients, and being part of a dedicated dental team. I enjoy all aspects of dentistry. In particular, I like treating children and nervous patients. I also enjoy using non-invasive techniques such as the Inman Aligner to straighten patients' teeth and improve their smile. I loved my school days and was deputy head girl in my final year. Treatment planning complex restorative cases, Adult and Paediatric Basic Life Support, talks on periodontology and crown preparation to name a few! I also have experience working in a hospital dealing with complex facial trauma such as broken eye sockets and jawbones! Everyone is so friendly and our common goal is to help patients to the best of our ability. We also work in an environment where we are happy to support each other with peer review to help maintain our high standards in patient care. I also love to travel and experience different food and cultures - I don't complain about long-haul flights as long as there is a good movie selection! Qualifications : Graduated with a BDS from Plymouth University. I attend courses such as safeguarding, medical emergencies and IRMER. I like that all members of the dental team have a shared goal, which is to provide a high standard of care whilst ensuring patient comfort. What you probably didn't know about me? I love to travel and do lots of trekking - I have climbed Mount Kilimanjaro, part of the Himalayas, and completed the trek to Machu Picchu. Qualifications : Qualified with BDS Merit from Barts and the London, Queen Mary University of London. Trained in the provision Basic Life Support, Oral Health Promotion and Safeguarding Adults and Children. DHC has the most welcoming staff and it is a great joy to be a part of their team. Patient care is our number one priority and we aim to ensure that patient-centered care is at the heart of everything we do. I am a fluent Arabic speaker and I am very good with technology. Oliver is a registered Specialist in Prosthodontics, the practice of advanced rebuilding and replacement of missing teeth. Olivers's specialist interests are in complex implant dentistry and aesthetic dentistry, of which he has extensive knowledge and experience in. 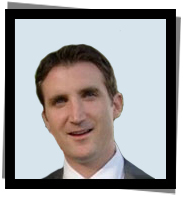 Oliver is a member of the International Team of Implantology. I graduated from the Guy's, King's & St Thomas' Dental Institute, King's College London. In 2005, I enrolled on a diploma in Restorative Dental Practice at the Eastman Dental Institute. This was a course in training dentists to provide high-quality and comprehensive restorative dental treatment. After completing this course, I really was inspired to train further to be able to provide complex state of the art restorative dental treatment. I enrolled onto a four year Specialist Training Programme in Fixed and Removable Prosthodontics at the internationally acclaimed UCL Eastman Dental Institute. As part of the training, I completed a Masters in Clinical Dentistry with distinction. I then completed further training to be awarded my Diploma for the Membership in Prosthodontics by the Royal College of Surgeons. I truly believe a dentist should treat his patients like they were one of his family members, doing the required treatment that is necessary for the patient's dental and general well-being. I want my patients to be informed of the different treatment options that are available to them and what this treatment involves so they can make an informed decision as to which treatment is best for them and their circumstances. This is a friendly family-based practice. I really feel that the Dental Hygiene Centre share my view of treating patients with their best interests at heart. 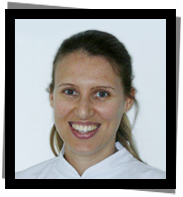 As a Registered Specialist in Prosthodontics, it is important to have the very highest standards. When I'm not busy practising dentistry, I am a very keen follower of rugby, and love to watch Ireland and London Irish rugby teams whenever I can. GDC Registration No. 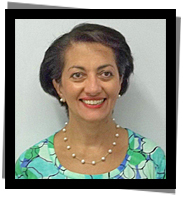 : 3853 with 20 years experience in teaching/periodontology practice, and general practice. Very supportive caring team and a flexible approach with a wide range of patients. These patients need varying types of treatment which I try to provide in a professional but friendly manner to the best of my ability. Not only "do I clean teeth" but I pride myself on trying to get to know all my patients personally. Trusting me often ensures confidence which allows us to give you the best treatment we can, in a relaxed way. I'm obsessed with sport and cooking and being an avid Liverpool FC fan, I try to get up to Anfield whenever I can; although my home town is Plymouth Argyle, which I would see as a teenager. Qualifications : Dental Hygiene & Dental Therapy from Barts & The London Dental Hospital 2009. 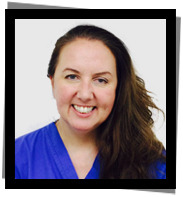 I am passionate about what I do and I love making a difference, giving patients the confidence by having good oral health. 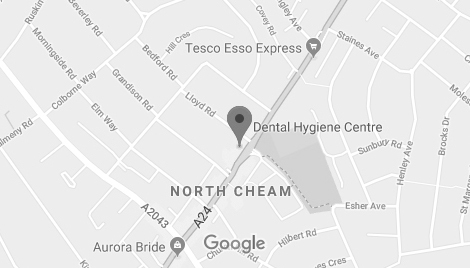 Since qualifying in 2009, I have worked in private and NHS dental practices looking after and treating a wide variety of patients, including those with severe periodontal disease. I regularly attend courses and dental conferences to ensure I keep up with developments in dentistry, including cross infection, medical emergencies, law & ethics, child protection, periodontal regeneration, enlighten smiles. I enjoy working at DHC with its friendly & dedicated team. This helps to ensure that we provide quality treatments of very high standard and consistently. My two young girls keep me busy, but whenever I can I like doing anything creative such as drawing and also spending time with family and friends. 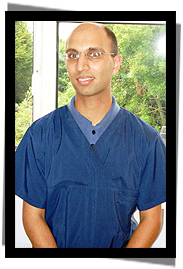 I have worked for many years as a Practice Manager in a dental practice and also in an aesthetics clinic. My focus is on patient care. 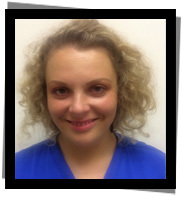 I help ensure the smooth running of the Dental Hygiene Centre and also provide clinical support to the dentists. This helps me see most aspects of the Practice from the "patient's eyes" as well. I love working as part of a team where we share sometimes creative and fresh ways to achieve patient satisfaction. I like our dental team. They are highly skilled, caring and work hard to provide the best in patient care. At the same time, the Practice is a welcoming and a genuinely friendly place. I find every day is different and interesting. My role enables me to pitch in whenever necessary but also I need to multi-task and help plan ahead. I enjoy helping and working with patients who come from so many different backgrounds and places. I enjoy winter sports particularly Skiing and also enjoy travelling to faraway places. I have in recent years been to North Cyprus, Thailand, India & Argentina. Having joined DHC more than 3 years ago, I enjoy working here and helping our patients. I have continued with my professional development including First Aid, Basic Life Support, Decontamination, Safeguarding, Prevention in Practice & Delivering Better Oral Health. Definitely, the highly skilled team that I work with and the friendliness we have developed together as a team. 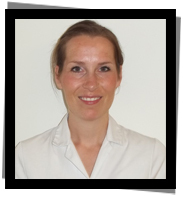 I am a qualified massage therapist and feel confident speaking in 3 languages. Qualifications: 20+ years' verified experience in Dental Nursing. I pride myself for providing support to all my patients and being there for them as they manage their oral health with us. I have continued my professional development with courses such as medical emergencies, infection prevention and control, radiation and vulnerable adults. I love working at DHC as every member of the team gives 100% every day. We care for our patients and we also care for each other as well. One aspect you'd never guess about me. I am a qualified beauty therapist and I love football (Fulham FC, by the way).